شاهسون, سمیه, صادقی, مهربان, فدایی, عبدالمجید, سدهی, مرتضی, رضوی, طاهره. (1394). بهینه‌سازی تصفیه فنل آبی با پرسولفات در حضور یون آهن. مجله آب و فاضلاب, 26(6), 69-75. سمیه شاهسون; مهربان صادقی; عبدالمجید فدایی; مرتضی سدهی; طاهره رضوی. "بهینه‌سازی تصفیه فنل آبی با پرسولفات در حضور یون آهن". مجله آب و فاضلاب, 26, 6, 1394, 69-75. شاهسون, سمیه, صادقی, مهربان, فدایی, عبدالمجید, سدهی, مرتضی, رضوی, طاهره. (1394). 'بهینه‌سازی تصفیه فنل آبی با پرسولفات در حضور یون آهن', مجله آب و فاضلاب, 26(6), pp. 69-75. شاهسون, سمیه, صادقی, مهربان, فدایی, عبدالمجید, سدهی, مرتضی, رضوی, طاهره. بهینه‌سازی تصفیه فنل آبی با پرسولفات در حضور یون آهن. مجله آب و فاضلاب, 1394; 26(6): 69-75. ترکیبات فنلی در بین آلاینده‌های دارای تقدم قرار می‌گیرند و اثرات سوء بر سلامت انسان و موجودات زنده دارند. فرایندهای اکسیداسیون پیشرفته به لحاظ بازده بسیار بالا، جنبه‌های بهداشتی و محیط‌ زیستی مطلوب، از چشم‌انداز مطلوبی در حذف آلاینده‌ها در آب و فاضلاب برخوردار هستند. پرسولفات از نظر اکسیدکنندگی، نسبت به بسیاری از اکسیدکننده‌ها قوی‌تر است، به‌ویژه وقتی همراه با آهن به‌کار رود باعث تولید رادیکال‌های سولفات می‌شود که پتانسیل اکسیداسیون بالاتری را ایجاد خواهد کرد. در این پژوهش سعی شد با فعال‌سازی پرسولفات با یون آهن بهترین شرایط برای حذف فنل از محیط‌های آبی به‌دست آید. طرح آزمایش‌ها بر اساس روش آماری تاگوچی و با استفاده از نرم‌افزار مینی‌تب 16 انجام شد. چهار عامل و هر کدام با پنج سطح برای تعیین شرایط بهینه حذف فنل در نظر گرفته شد. زمان تماس 120 دقیقه، نسبت مولار پرسولفات به آهن 5:4 و pH برابر 3 ، شرایط بهینه تصفیه فنل با اکسیداسیون پرسولفات/یون آهن بود. میزان حذف فنل در شرایط بهینه برای غلظت‌های 50 تا 750 میلی‌گرم در لیتر فنل به‌ترتیب 708/0±93/94 و 675/0±21/58 درصد به‌دست آمد. نتایج نشان داد که در بین پارامترهای مؤثر بر این فرایند، pH محیط با 80/54 درصد بیشترین و غلظت پرسولفات با 05/11 درصد کمترین عامل مؤثر بودند. با کاربرد این فرایند می‌توان میزان فنل با غلظت‌هایی که در فاضلاب‌های صنعتی یافت می‌شود را بین 59 تا 95 درصد حذف کرد. Phenolic compounds are among the priority pollutants due to their adverse effects on human health and other living organisms. Advanced Oxidation Processes (AOPs) offer promising prospects for the removal of pollutants in water and wastewater due to their high efficiency as well as acceptable health and environmental effects. Persulfate, especially when used with iron, is far stronger than many other oxidants with respect to oxidation properties since it produces sulfate radicals which create a higher oxidation potential. In this research, efforts have been made to achieve the best conditions for phenol removal from aqueous environments by activating persulfate with iron ions. The experimental design was accomplished using the Taguchi statistical method and the Minitab 16 software. For the purposes of this study, four factors, each with five levels, were considered to determine the optimal conditions for phenol removal. The optimum conditions for phenol removal by integrated persulfate/iron ions were found to comprise a contact time of 120 minutes, a persulfate/iron molar ratio of 5/4, and PH=3. Phenol removal efficiencies of 94.93%±0.708 and 58.21%±0.675 were obtained under the optimum conditions for the experimental minimum (50 mg/l) and maximum (750 mg/l) phenol concentrations, respectively. The results revealed that among the parameters affecting the process, environmental pH with 54.80% and persulfate concentration with 11.05% have the highest and lowest effects, respectively. It is expected that this process is also capable of removing phenol from industrial wastewaters with removal efficiencies in the range of 59‒95%. 1. Masoudi Nejad, M.R., Yazdanbakhsh, A.R., and Mehrabi, Y.E. (2004). “Comparison removal efficiency of chrome nickel and cadmium from industrial sewages whit pH controllers.” J. Hakim Research, 7(3), 52-58. 2. Busca, G., Berardinelli, S., Resini, C., and Arrighi, l. (2008). “Technologies for the removal of phenol from fluid streams: A short review of recent developments.” J. Hazardous Materials, 160, 265-288. 3. Rappoport, Z. (2003). The chemistry of phenols, John Wiley and Sons, Ltd., NY. 4. Ersoz, D., Denizli, A., Sener, I., Atilir, A., Dittemiz, S., and Say, R. (2004). “Removal of phenlic compounds with nitro phenol imprinted polymer based on - and hydrogen bonding interractions.” J. Separation and Purification Technology, 38, 173-179. 5. Kinsley, C., and Nicell, J.A. (2000). “Treatment of aqueous phenol with soybean peroxidase in the presence of polyethylene glycol.” J. Bioresource Technol., 22, 139-146. 6. U.S. Environmental Protection Agency. (1987). Federal register, Washington DC, US .EPA. 52, 25861 -25962. 7. Moussavi, G., Mahmoud, M., and Barikbin, B. (2009). “Biological removal of phenol from strong wastewater using a novel MSBR.” J. Water Research, 43(5), 1293-1302. 8. Tor, A., Cengeloglu, Y., Aydin., E.A., and Ersoz, M. (2006). “Removal of phenol from aqueous phase by using neutralized red mud.” J. Colloid Interf. Sci., 300, 498-503. 9. Roostaei, N., and Tezel, H. (2004). “Removal of phenol from equeous solutions by adsorption.” J. Environment Management, 70, 157-164. 10. Hemati, B., Nasseri, S., Nabizadeh, R., Mahvi, A.H., and Javadi A.H. (2011). “Photo catalytic degradation of phenol in aqeous solution by Fe3+ -doped TiO2/UV process.” J. Health and Environment, 3(4), 369-380. 11. Adar, S.S., Chen, M.Y., Lee, D.J., and Ren, N.Q. (2006). “Degradation of phenol by aerobic granules and isolated yeast condida topicalis.” J. Biotechnology Bioengineering, 96, 844-852. 12. Abdelwahab, O., Amin, N.K., and Ashtoukhy, E.Z. (2004). “Electrochemical removal of phenol from oil refinery wastewater.” J. Hazardous Materials, 163, 711-716. 13. Azbar, N., Yonar, T., and Kestioglu, K. (2004). “Comparison of various advanced oxidation processes and Chemical treatment methods for COD and color removal from polyester and acetate fiber dying effluent.” J. Chemosphere, 5, 35-43. 14. AL-Momeni, F., Touraud, E., Degorce-Dumas, J.R., Roussy, J., and Thomas, O. (2002). “Biodegradability enhancement of textile dyes and textile wastewater by UV photolysis.” J. Photochem., 135, 191-197. 16. Xu, X.R., Li, L., Hao, Q., Liu, J.L.L., Yu, Y.Y., and Li, H.B.L. (2012). “Activation of per sulfate and its environmental application.” J. Environment and Bioenergy, 1(1), 60-81. 17. Block, P.A., Richard, A.B., and Robinson, D. (2004). “Novel activation technologies for sodium per sulfate in situ chemical oxidation.” Proc., Fourth International Conference on the Remediation of Chlorinated and Recalcitrant Compound, Monterey, CA. 18. Huang, Y.F., and Huang, Y.H. (2009). “Identification of produced powerful radicals involved in the mineralization of bisphenol A using a novel UV-Na2S2O8/H2O2-Fe (II, III) two-stage oxidation process.” J. Hazardous Materials,162, 1211-1216. 19. Salari, D., Niaei, A., Aber, S., and Rasoulifard, M.H. (2009). “The photo oxidative destruction of C.I. Basic Yellow 2 using UV/S2O8 2− process in a rectangular continuous photo reactor.” J. Hazardous Materials, 166, 61-66. 20. APHA. (1995). Standard methods for the examination of water and wastewater, 19th Ed., Washington D. C.
21. Roy, R.K. (2001). Design of experiments using the taguchi approach, John Wiley and Sons, NY. 22. Wagner, M., and Nicell, J. (2002). “Detoxification of phenolic solutions with horseradish peroxidase and hydrogen peroxide.” J. Water Research, 36, 4041-4052. J. Process Engineering, 2, 53-57. 26. Anotai, J., Masomboon, N., Chuang C. L., and Lu, M. C. (2011). “Per sulfate oxidation for the aniline degradation in aqueous systems.” J. Water Sci. Technol., 63, 1434-1440. 27. Chen, K. F., Kao, C.M., Wu, L.C., Surampalli, R.Y., and Liang, S. H. (2009). “Methyl tert-butyl ether (MTBE) degradation by ferrous ion-activated per sulfate oxidation: Feasibility and kinetics.” J. Water Environment Research, 81, 687-694. 28. Xu, X. R., and Li, X. Z. (2010). “Degradation of azo dye orange G in aqueous solution by persulfate with ferrous ion.” J. Separation and Purification Technology, 72, 105-111. 29. Liang, C.J., Bruell, C.J., Marley, M.C., and Sperry, K.L. (2004). “Persulfate oxidation for in situremediation of TCE. I. Activated by ferrous ion with and without a per sulfate-thiosulfate redox couple.” J. Chemosphere,55, 1213-1223. 30. 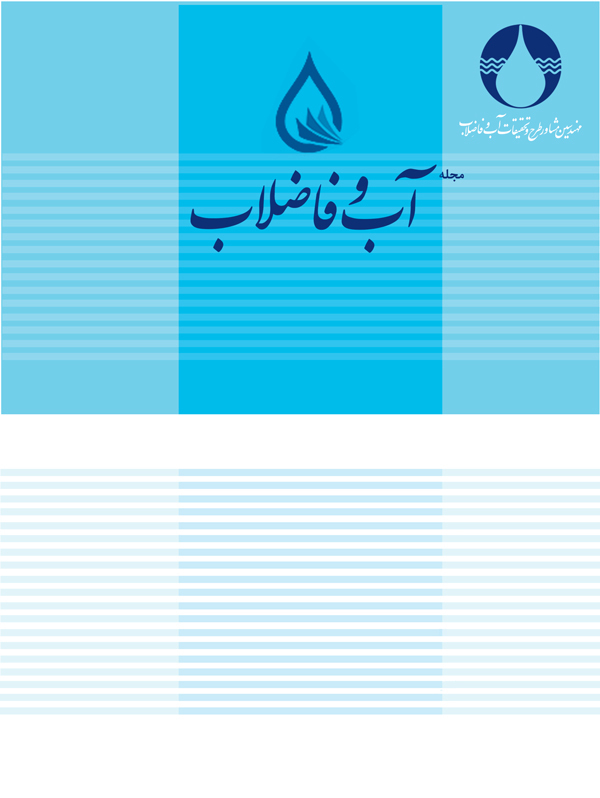 Ahmadi, M., Vahabzade, F., Moffarrah, E., and Aliabadi, M. (2004). “Application of advanced oxidation of dephenolization of olive oil mill wastewater processing by fenton reagents.” Proc. 9th National Congress of Chem. Eng., Tehran University, Tehran, Iran, 23-25. 32. Young, S., Kang, S.G., Kim, D.W., and Chiu, P.C. (2011). “Degradation of 2,4-dinitrotoluene by persulfate activated with iron sulfides.” J. Chemical Engineer, 172, 641-646. 33. Lin, T. Y., Liang, C., and Chen, H. J. (2011). “Feasibility study of ultraviolet activated persulfate oxidation of phenol.” J. Chemosphere, 82, 1168 -1172.